Our documentation consultancy service offers huge benefits for your documentation performance. Our documentation consultancy service offers you help and advice from people each with over 30 years’ experience in tech pubs. We bring huge expertise gained in a wide range of industries. Documentation consultancy begins with us visiting your offices. We start by reviewing your history. We consider your aims and what you’ve already tried. After our meeting we provide a detailed report. This gives you our advice. It provides a plan to take you to your target. We can also help with the implementation of the plan if you wish. 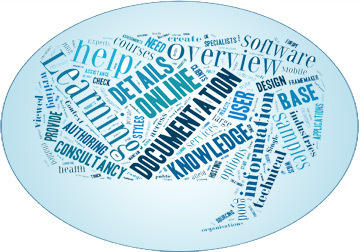 What can our documentation consultancy deliver? We’ve been technical authoring for over 30 years. In that time we’ve found our own ways of working. We have technical writing processes which produce and deliver top-class results. This applies whoever the client. It applies whatever the industry. We have built-in stages in our projects such as planning and proof reading. We produce reports for all our projects. Are you unsure which technical writing software is best for you? We can analyse your needs. We can suggest the best solution. There are many technical authoring apps on the market. We are expert users in most of these tools and can help you choose the best option. A basic issue in technical authoring is how long a job will take. If targets aren’t set for projects, they can last forever. We have developed methods for estimating. We know how long a job will take. Through these we can provide delivery dates. We have run tech pubs depts for many years. We’ve managed dozens of technical writers in that period. We carry out aptitude testing for technical author recruitment, testing skills that are relevant to the job. It leads to great selection. Documentation must have consistency. It’s vital. Standards have to be written down, updated and circulated. Armada’s documentation consultancy can create these standards for you. Designing templates and ‘skins’ can be difficult and time-consuming. They must combine corporate branding with robust, well designed templates. Our documentation consultancy service can do this work for you. It leaves you to simply start creating content. Our documentation consultancy gives results. We get technology and software. We make it simple. We make it concise.